FERC to Hold Technical Conferences on Implications of Clean Power Plan - January 6 ­- FERC announced that it will host a series of technical conferences covering the implications of EPA’s Clean Power Plan on electric reliability, wholesale electric markets and operations, and energy infrastructure. FERC will hold a Commission-led National Overview technical conference on February 19, which will be followed by staff-led regional technical conferences in Denver, Washington, and St. Louis. For more on the Clean Power Plan, see our June 2014 Alert. FERC Issues Net Metering/DR Report - December 23 - FERC released a Staff Report entitled Assessment of Demand Response & Advanced Metering. The report, required by EPAct 2005, notes that advanced meter penetration climbed to nearly 30 percent in 2012; potential peak reduction from demand response resources increased to 28.5 GW in 2013; and demand response made significant contributions in during cold weather events in 2013 and 2014. FERC Issues Letter Order Approving Revisions to Delegation Agreement with WECC - December 23 -FERC issued a letter order approving NERC-proposed revisions to its Delegation Agreement with the Western Electricity Coordinating Council (WECC). On September 16, 2014, as amended on November 21, 2014, NERC submitted proposed revisions to the WECC Delegation Agreement to revise the WECC Bylaws and WECC Standards Development Procedures. FERC Accepts Revisions to NPCC Delegation Agreement - December 23 - FERC issued a letter order accepting a revised delegation agreement between NERC and the Northeast Power Coordinating Council. The revisions affect NPCC's regional reliability standards development procedures. NERC Files Quarterly Status Report for TOP and IRO Standards - January 2 - NERC filed with FERC its quarterly status report on the status of revisions to various TOP and IRO standards. The report addresses the status of the following proposed NERC reliability standards: TOP-001-3, TOP-002-4, TOP-003-3, IRO-001-4, IRO-002-4, IRO-008-2, IRO-010-2, IRO-014-3, and IRO-017-1. All of these standards were approved by the NERC Board of Trustees, except for proposed reliability standard TOP-001-3. 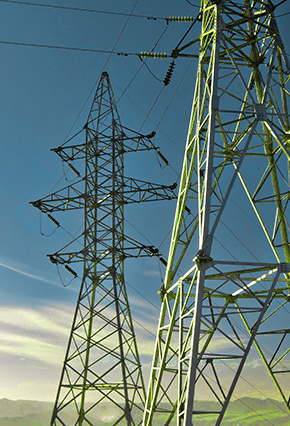 Once that standard receives approval, NERC plans to file for approval of these standards with FERC, which the report indicates will be sometime after its next board meeting on February 12. NERC Files 2015-2017 Standards Development Plan - December 31 - NERC filed with FERC its Reliability Standards Development Plan for 2015 through 2017. The plan provides analysis of NERC's achievement of its 2014 standards goals and provides priority rankings for new 2015 initiatives, including periodic review of emergency operations (EOP) and system operating limit (FAC) standards, and new transmission planning (TPL) standards. NERC Penalty Activity - December 30 - NERC filed with FERC a Spreadsheet Notice of Penalty resolving 40 violations of 9 standards by 10 entities, as well as five separately-docketed penalty proceedings. NERC Submits Emergency Operations Reliability Standard for FERC Approval - December 29 - NERC requested Commission approval of Emergency Preparedness and Operations (EOP) Reliability Standard OP-011-1, which addresses Emergency preparedness by “ensuring each Transmission Operator and Balancing Authority has developed Operating Plans to mitigate operating Emergencies” that are coordinated within a Reliability Coordinator Area. The proposed Reliability Standard consolidates requirements from existing Standards EOP-001-2.1b, EOP-003.1, and EOP-003-2. NextEra Penalty Review Continues - December 18 - NERC and the Texas Reliability Entity filed interventions supporting a penalty against NextEra Energy Resources for failing to follow an out-of merit energy order from ERCOT. NERC had originally filed the penalty in October, and FERC initiated a review of the penalty in late November. NERC Requests FERC Approval of New Reliability Standards - December 15 - NERC requested FERC approval of proposed Reliability Standards VAR-002-WECC-2 (Automatic Voltage Regulators) and VAR-501-WECC-2 (Power System Stabilizer), which were jointly developed by NERC and the Western Electricity Coordinating Council (WECC). The proposed Standards would delete certain administrative requirements but would not affect the substantive requirements. NERC Files Petition for Approval of Risk-Based Registration Initiative Rules of Procedure Revisions - December 11 - NERC filed a petition with FERC for approval of revisions to its Rules of Procedure to implement the Risk-Based Registration Initiative. Included in the Petition are proposed revisions to Sections 302 and 501 of NERC's Rules of Procedure, as well as Appendices 2, 5A, and 5B, all of which aim to implement NERC's Risk-Based Registration initiative. The proposed revisions include, among other things, removal of three functional registration categories, including PSE, IA, and LSE, modifications to the thresholds for registering entities as DPs, and alignment of the remaining functional registration categories to the definition of the BES. NERC Submits PRC Standard Petitions – December - NERC submitted petitions to FERC for approval of the following proposed reliability standards: (1) PRC-006-2 (Automatic Underfrequency Load Shedding); (2) PRC-002-2 (Disturbance Monitoring and Reporting Requirements); (3) PRC-005-4 (Protection System, Automatic Reclosing, and Sudden Pressure Relaying Maintenance); and (4) PRC-026-1 (Relay Performance During Stable Power Swings). White House Announces New Cybersecurity Initiatives - January 13 - The White House announced new steps from President Obama to improve national cybersecurity, including new proposed legislation to allow for information-sharing and encourage shared analysis of threats. The announcements also include a February 13 national summit on Cybersecurity and Information Protection at Stanford University, as well as $25 million in funding from the Department of Energy to support a cybersecurity educational consortium of national laboratories and Historically Black Colleges and Universities. CRS Releases Report on 2013 Cybersecurity Executive Order - December 15 - The Congressional Research Service (CRS) published a report detailing the role of the federal government in protecting critical infrastructure in the wake of President Obama’s 2013 Executive Order 13636, Improving Critical Infrastructure Cybersecurity. The report provides an overview of the various threats to critical infrastructure (“CI”) by cyber intrusions, discusses the provisions and implications of President Obama’s executive order, and the scope of both executive and legislative authority to address threats to CI. CISPA Reintroduced on Hill – January 8- Rep. Dutch Ruppersberger (D-Md.) reintroduced the Cyber Intelligence Sharing and Protection Act (CISPA) (H.R. 234), which would enable public and private sector cyberthreat information sharing. In the last Congress, CISPA passed the House but failed to pass the Senate. Rep. Lee Introduces Terrorism Prevention and Critical Infrastructure Protection Act of 2015 in House - January 6 - Rep. Jackson Lee from Texas introduced the Terrorism Prevention and Critical Infrastructure Protection Act of 2015 in the House of Representatives. The bill would codify Presidential Policy Directive 21 (PPD 21) into law. PPD 21 focuses on strengthening critical infrastructure against both physical and cyber threats. The bill was referred to the Committee on Homeland Security. Lame-Duck Congress Passes Cybersecurity Bills – December 18 - During the concluding session of the 113th Congress, three cybersecurity bills were signed into law on December 18, 2014. The Federal Information Security Modernization Act, introduced by Sen. Tom Carper (D-DE), establishes Office of Management and Budget and Department of Homeland Security (DHS) authority over agency information security policies and practices. The National Cybersecurity Protection Act, also introduced by Sen. Carper, establishes a national cybersecurity and critical infrastructure protection office within DHS to address risks to federal and non-federal entities. Finally, the Cybersecurity Enhancement Act, introduced by Sen. John D. Rockefeller (D-WV), expands the role of the National Institute of Standards and Technology in coordinating across industries and developing voluntary cybersecurity frameworks, as well as authorizing a federal cybersecurity R&D program. FFT Survey Responses Submitted – December 22 - In response to FERC's annual survey to collect data on the effectiveness and efficiency of NERC's Find, Fix, Track, and Report (FFT) program, NERC submitted to FERC the responses of the following Regional Reliability Entities: SERC; TRE; FRCC; MRO (part 1 and part 2), and SPP.